Havana, Vinales, Cojimar, May Day Parade, and countryside. This is a new exciting Cuba workshop with homestay lodging and new low package price. please email Laura Adams of Cuba Cultural Travel. This workshop will be limited to 7 participants and all participants will stay in a wonderful casa particular in the beautiful Vedado neighborhood of Havana, with breakfast, wi-fi, each single room with a bathroom and hot shower and air conditioning, large comfortable double bed ,and the possibility of supplemental lunch and dinner. The small size of this group will allow Peter Turnley to offer each participant very engaged photographic instruction and daily photo critique sessions, and a very exciting eight day visual itinerary and program. The photographers will have access as well to two wonderful Cuban photographers that will assist daily as guides and translators. To register please email Laura Adams of Cuba Cultural Travel, who handles all registration and payment. Please be sure to indicate in your email the date of the workshop that you are interested in attending. Package includes lodging in a wonderful 7 bedroom casa particular, each room with bathroom, air conditioning, in a home with gorgeous architecture centrally located in the Vedado neighborhood of Havana, with breakfast, wifi, and a beautiful authentic atmosphere. All participants will be provided Cuban tourist visas by Cuba Cultural Travel, a US tour agency with more than twenty years of experience leading trips to Cuba. Included as well is a wonderful 7 night, 8 day itinerary in Havana, with day trips to Vinales, Cojimar, the annual May Day Parade, and countryside, two local Cuban photographer guides, daily transportation in Cuba, several group meals, exciting daily photographic itinerary, photographic workshop, and daily photo critique sessions led by Peter Turnley. In Havana the eight day program will include photographing ballet, dance, boxing, a visit to one of the most exciting salsa dance clubs in Latin America, markets, Santería religious ceremonies, the annual May 1st national worker's day parade on Revolution Square, walks through many exciting neighborhoods of the city, including Havana Vieja, Centro Havana, the oceanside promenade Malecón, the Prado, the community of Regla, and other neighborhoods of Havana. 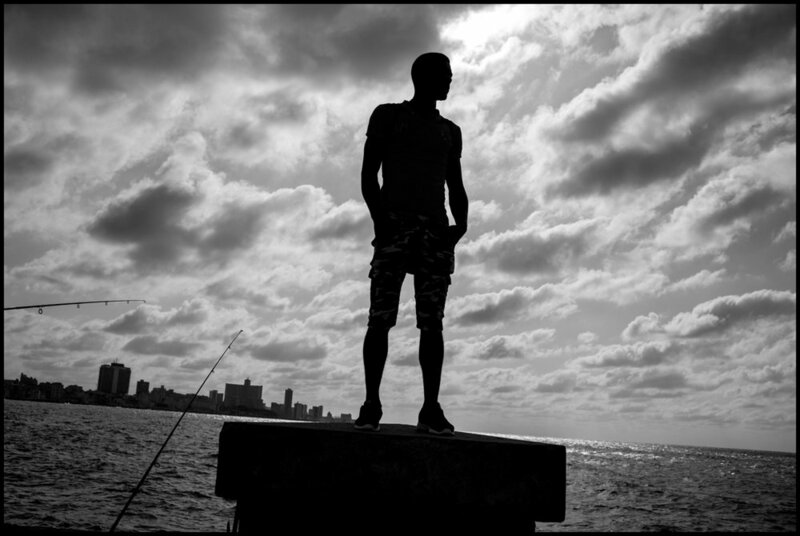 Participants will have much free time to explore Havana on their own with one of two local guides and Peter Turnley. The group will spend a day in the wonderful tobacco region of Viñales and will make a trip to Cojimar, a famous fishing village where Hemingway wrote The Old Man and the Sea. The group will make a trip to the Cuban countryside and visit one of the beach towns outside of Havana. This new Cuba workshop has been designed to offer a small group of photographers both great intimate daily photographic opportunity and instruction by a world renown photojournalist. Both the home stay in a beautiful Cuban casa particular with gorgeous architecture, and all aspects of the daily itinerary are designed to offer photographers access to the vibrant and authentic daily life of the amazing Cuban people. Airfare to Havana, Cuba. All participants will need to book their airfare to and from Havana on April 29 and May 6. Direct airfare prices to Havana round-trip from the US are very low and reasonable at this time of the year. All participants will be met on arrival to the Havana airport by a driver and will be taken by car to the casa particular where the group will be staying. The workshop includes two group meals and one lunch where participants are guests of the workshop at three marvelous private paladars. Participants will be expected to cover several non-group lunches and dinners during the eight days. The casa particular where the group will be staying offers daily lunch and dinner for a small supplement with wonderful Cuban and Italian food. Participants will be provided with a list of amazing private restaurants in Havana. Peter Turnley is a renowned and award-winning photojournalist who has been photographing life in Cuba for the past 30 years, and has been leading very successful Cuba workshops for the past 5 years. 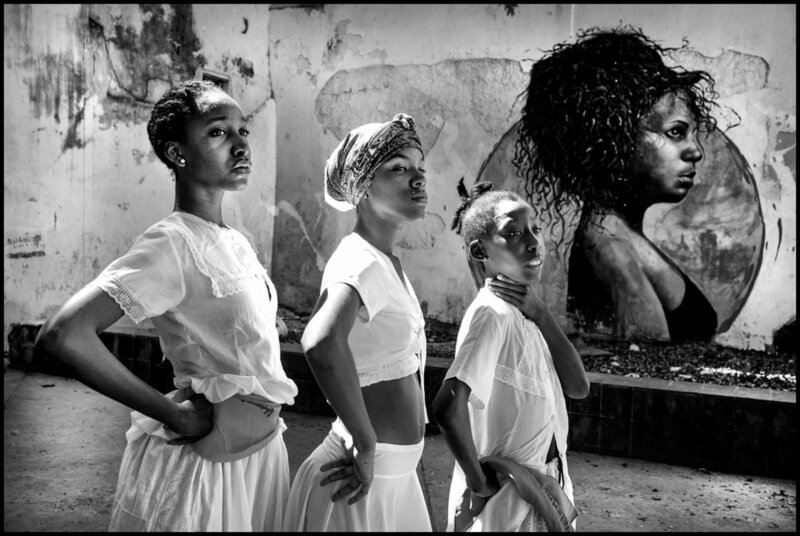 Please see this exciting video of a selection of Peter Turnley's photographs from his book, Cuba: A Grace of Spirit. Cuban Authorities have mandated that all tourists entering Cuba carry health insurance and emergency evacuation coverage. This coverage is included as part of your airfare through the airline. This coverage will pay your medical expenses up to 25,000 CUC and pay up to 7,000 CUC for repatriation or transportation. You may choose to purchase additional coverage through a U.S. insurance provider - especially travel cancellation insurance or for travelers over the age of 80. Participants will need to bring a digital SLR or rangefinder camera, a laptop computer, and a thumb drive. Two camera bodies are recommended, with a minimum of at least one wide-angle lens such as a 17-35mm zoom, 24mm, 28mm, 35mm, or 50mm. Students may bring longer lenses as well, but Peter will strongly encourage participants to use a wide angle lens in order to get close to the subject, which allows a sense of context, environment, and intimacy. A wide-angle lens that is relatively fast and has a wide aperture (1.4, 1.8, 2, or 2.8) is encouraged in order to photograph in low light situations. It is recommended that participants bring extra memory cards, extra camera batteries, and all necessary battery chargers for their equipment. Students will need to know how to transfer the photographs they make each day onto their laptop computer. Each day, participants will bring a selection of their favorite photographs, or those they’d like to discuss, in a folder on a thumb drive, to the daily photo review and critique sessions. Students are encouraged to use image management software for this selection process. Peter recommends PhotoMechanic, however other programs such as Apple’s Aperture, or Adobe Lightroom may be used. PhotoMechanic can be downloaded for a free trial basis from camerabits.com. Students will be encouraged to choose from the outset if they want to show their work in color or in black and white, and they will be encouraged to stick to their choice of one of the other throughout the workshop. At each photo critique and review session, Peter will work with each photographer to make a a “selects” folder of their most successful images. At the end of the week, Peter will select with each photographer from this overall “selects” folder, a final individual photo story of 15 images, which will be seen as part of a group final show during the last workshop session. Each participant should also bring a portfolio of a selection of their past work. Approximately 30 photographs are recommended, and they may be brought in a folder on a thumb drive, or as a selection of prints. Students’ portfolios of past work will also be shared during the final session of the workshop. If participants would like to bring along a companion or spouse and share a double occupancy room with them, the package cost for the companion will also be $3,700. All the rooms in the casa particular have only one large size double bed. Companions or spouses that want to share a room should expect to share a large size bed. Companions or spouses will need to participate in all group activities, and may attend and participate in all photographic review sessions, group dinners and lunches. Spots will be held on a first come basis. It is expected that there will be high interest in this trip so if you would like to hold a spot; it is recommended that you send an email stating your intention to attend to Laura Adams of Cuba Cultural Travel. You will then receive instructions how to proceed to register and make payment. Registration and payment will be handled by Cuba Cultural Travel . Registrations are accepted on a first-come first-serve basis and your spot is held only once a payment has been received. Please be advised, for travel to Cuba, your passport must be valid up to at least 6 months AFTER the dates of travel. Note: Participants will be required to make their own travel arrangements to Havana and will be met by a driver at the Havana airport to take them to the casa particular where everyone will be staying. On the final day of the workshop, participants will be taken by a car and driver to the airport for their departure flight. 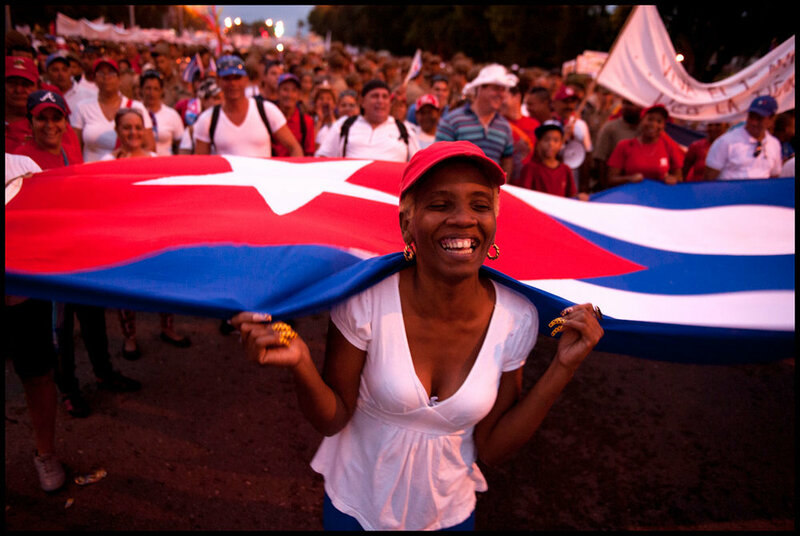 This program is organized and operated by Cuba Cultural Travel, in consultation with, and escorted by Peter Turnley. Once registered, and each participant has made their air travel arrangements to Cuba, they will want to provide Laura Adams of Cuba Cultural Travel their flight number and arrival date and time, so they can be met at the airport by a drive that will take them to the casa particular where everyone will be staying. If you’d like to have your name put on a waiting list in case of any cancelations, please email Laura Adams of Cuba Cultural Travel. If you have any direct questions please feel free to email Peter Turnley. See Student Galleries from past workshops. See Testimonials from past workshop. Peter Turnley is an internationally renowned photographer. His photographs have been on the cover of Newsweek Magazine 43 times, he has published a celebrated book of photographs about Cuba, Cuba: A Grace of Spirit. He is the first American photographer to be offered a major retrospective exhibition, Moments of the Human Condition, at Cuba's most important museum, Museo Nacional de Bellas Artes. Cuba: Havana, Vinales, Cienfuegos, and Trinidad – Mar 9-16, 2019, Full Package Price: $3,700 Full with waiting list. CNN Video about Peter Turnley's historic exhibition at Cuba's most important museum.